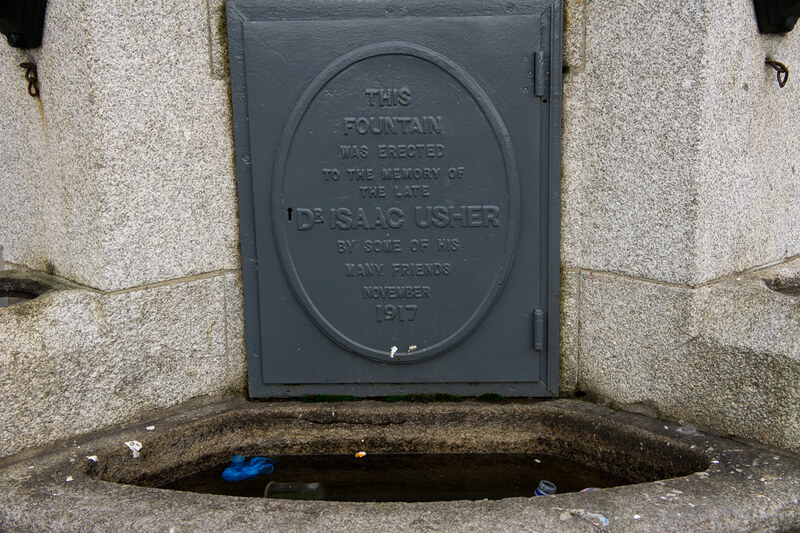 Dr Isaac Usher was a popular resident of Dundrum at the beginning of the 20th Century. He did a lot for the town but unfortunately he was killed in one of the first accidents involving a motor car in Ireland, when a car struck him while reversing near the station in 1917. The residents decided to build a monument to honour him. 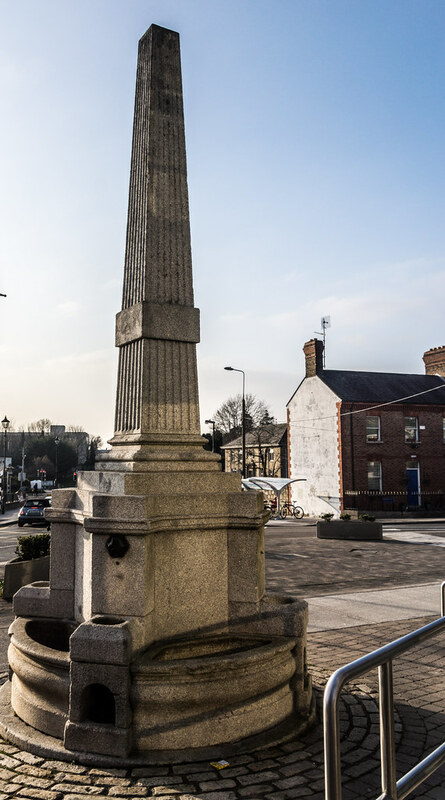 The monument was a stone obelisk with a source of water and a trough to provide drinking water for passing horses. There were also brass cups on chains which could be used for drinking by humans. 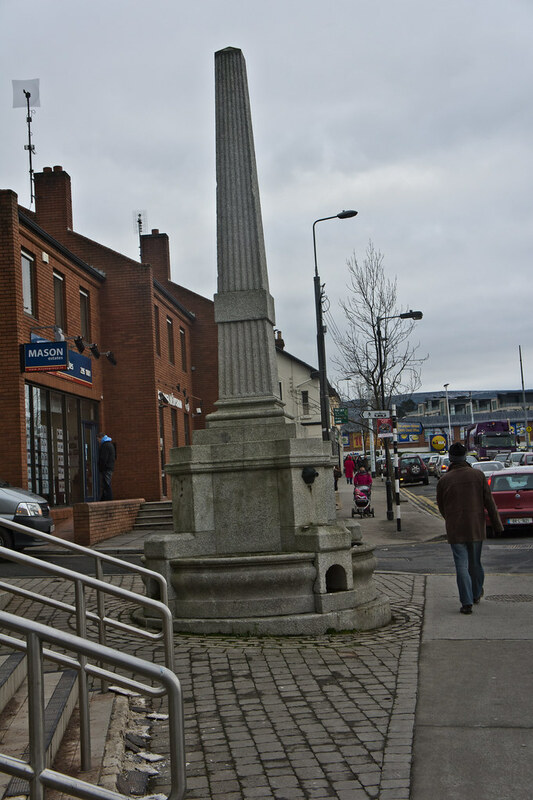 The monument was placed right in the middle of the northern crossroads.